1.The TRON Network adopts the DPOS consensus mechanism. For the 27 SRs, one block is generated every 3 seconds, with each block awarding 32 TRX to the 27 SRs in sequence; for the 127 SR candidates (including the 27 SRs), there would be 16 additional TRX every 3 seconds to be distributed among the 127 SR candidates in proportion to the votes they have received. When the TRON MainNet was activated on June 25 (SGT), the TRON Network conducted a coin burn of a billion TRX, which was a part of the TRX locked by the TRON Foundation. At the time of the MainNet launch, the total amount of TRX decreased from 100 billion to 99 billion. For more information, see the following links. 2. The TRON Network has picked up momentum with upward readings. As the TRON Network is witnessing growing transactions, accounts, as well as an expanding DApp ecosystem, more TRX will be burned. On the other hand, as the Network evolves, adjustments to the TRX rewarding mechanism are expected to be made based on votes by the community — on August 13, the TRON Foundation published A Proposal to Increase Rewards for the TRON SR Candidates. Therefore, the total number of the TRX is not constant; instead, it is determined by the changing rewarding mechanism and coin burns. 3. The TRON Network is a decentralized democratic autonomous community, which is not controlled by the TRON Foundation or any individuals/teams. 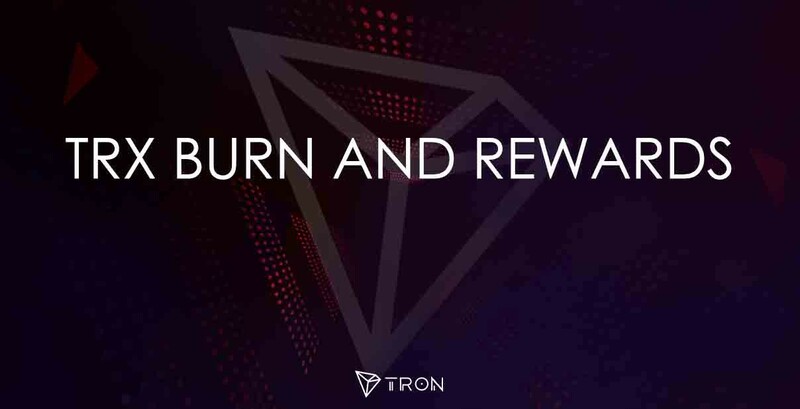 TRX burn and the rewarding mechanisms will not remain constant, but adjusting to the evolving network. It’s an indisputable principle for TRON that major issues including coin burns and the rewarding mechanism should be informed to, discussed in and confirmed by the community. The best way for our followers and believers to support the TRON Network is to follow our progress, participate in our governance and voting process. The TRON Foundation will work with each and every follower and supporter to contribute to the development of the TRON Network.